The DCS-942L Enhanced Wireless N IR Network Camera is a unique and versatile surveillance solution for your home or small office. 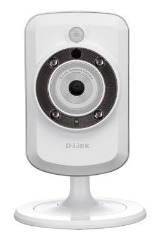 Unlike a traditional webcam, the DCS-942L is a complete system with a built-in CPU and web server that transmits high-quality video for security and surveillance use. The DCSâ€‘942L is simple to install and uses an intuitive web-based interface for easy configuration. It connects to your network quickly through either a wired Ethernet or 802.11n wireless connection. The DCS-942L also comes with remote monitoring and motion-detection features for a complete and cost-effective home security solution.